Are you a lover of fiction? Maybe poetry is more your style? Or does your heart only really thrill to a riveting non-fiction story, expertly told? Whatever your heart desires, we have a great selection for you to choose from in this year’s Best Scottish Books list. ASLS has asked eighteen authors, critics, academics, and members of the literary sector to tell us about their favourite Scottish book from this past year. The book could be in English, Scots, or Gaelic, it could be published for the first time in 2016 or re-issued this year, and could be a work of fiction, non-fiction, poetry, or academic research. And what a wonderful list it is! You’ll find new books by those authors you always keep an eye on, and debuts destined to become new favourites — and it all shows the breadth and vibrance of Scotland’s writing culture. There is something for everyone, so get comfy, and have a browse through the Best Scottish Books from 2016. The list is organised by title. If your favourite isn’t here, let us know about it! It’s been a good year for Scottish poetry. Not only is the Scottish Poetry Library @ByLeavesWeLive beautifully renovated and open for business but volumes from both newer and more established poets have been published. Claire Askew’s wide-ranging first collection This Changes Things (Bloodaxe) contains some arresting poems about grandmothers and grandfathers. Harry Giles in Tonguit (Freight Poetry) defamiliarises our world in every way possible, moving between Scots and English, inserting his linguistic sharpness into positives and negatives with equal ease. ‘The Hairdest Man in Govanhill’ greets ‘n the puils o his tears stap traffic’ while the firework that is Hogmanay exhorts us to ‘birn the year’, then ‘birn oorsels, n the thocht of fire’. And Kathleen Jamie, in her exceptional collection The Bonniest Companie, has honed yet further her exquisitely selective vocabulary: ‘speug’, a single word in Scots, refocuses the whole of ‘The Garden’. Jamie’s imaginative oscillations between the everyday and states of estrangement extend and deepen understanding of what we have to ‘mind’ in every sense. My book of the year. The Bonniest Companie was chosen as the Saltire Society’s Book of the Year and Poetry Book of the Year for 2016. — chosen by Alistair Braidwood, who runs the Scottish cultural website Scots Whay Hae! This year has seen the emergence of some notable new literary voices. Diverse and exciting novels such as P.K. Lynch’s Texas-set teenage drama Armadillos, Kellan MacInnes’ novel of munros and mayhem The Making Of Mickey Bell, and the ’90s nostalgia of Deborah Andrews’ Glasgow set Walking The Lights all point to a bright future for Scottish writing as well as adding contemporary vitality to an already impressive 2016. However, my selection for Scottish Book Of The Year came down to a choice between two established writers known for their craft. James Kelman’s Dirt Road was surprisingly warm and unsurprisingly essential reading, but it is Kevin MacNeil’s The Brilliant & Forever that gets my vote. Clever without every being showy, it celebrates language and literature in a manner that is passionate and playful but with serious intent at its core. No book I read in 2016 offered me more. The Brilliant & Forever was shortlisted for the Saltire Society’s Fiction Book of the Year. 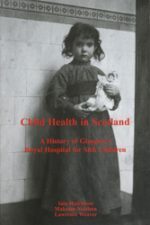 Glasgow’s Royal Hospital for Sick Children narrates the story of the hospital at its centenary on the Yorkhill site. Established in 1914, it was placed close to the university to facilitate the teaching of paediatrics, and to provide medical care for the sick children of Glasgow, the west of Scotland and beyond. The book is a fascinating story of a social, political, and scientific vision, and the inevitable squabbles and debates that underpin the working of any great and long-running institution. But in describing these dynamics, the book also holds up to light the changing identity of the sick child, the increasing legitimacy of emotions in child health-care, and the transforming economy of the doctor-patient relationship. More generally, in charting the hospital’s tenure of a hundred years — which included two world wars and the subsequent introduction of the NHS — this slim volume successfully captures the changing face of Scottish medicine and, relatedly, Glasgow’s urban architecture. A great read for the medical historian, this paperback is also of interest to those who enjoy local history! This book is both ultimately unsatisfying and utterly brilliant. A kind of detective noir At Swim-Two-Birds, I’m not even sure it should qualify for this list. 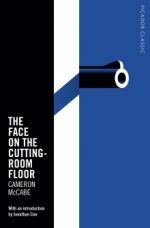 Cameron McCabe, its stated author (also protagonist, narrator, murderer, victim, amateur sleuth, subconscious echo) is Scottish. He is repeatedly described as a combination of ‘Scotch dourness’ and American-style ‘stoicism’ (think Hemingway, Sam Spade, William Powell). First published in 1937 by Gollancz it wasn’t until the mid-70s that the German sexologist Ernest Bornemann was revealed as its author. McCabe’s name remains on the spine in this year’s Picador Classic reissue. Set amongst the London film industry of the 1930s, the novel is replete with heavy-handed references to the mediatory powers of the editing room, the sensationalism of newspaper headlines, the ‘puzzles’ of detective stories, the ‘art of story-telling’ in general, and gems like: ‘to clear up a murder you must do your own killing’. It’s full of idioms repeated, deconstructed, and made strange. If this sounds too Paul Auster for your taste, rest assured there’s no languid existential meditation here, it’s sheer exuberance. Given a couple more choices, I’d have included Roch Winds: A Treacherous Guide to the Scottish State — a refreshing defence of ‘organised pessimism’, Marxist critique, and persistent invective directed at the current politics — and, sticking with political disillusionment and the romance of lost (or endlessly deferred) causes, but moving in the other direction, Gavin Bowd’s The Last Communard — the personal-historical-mythic story of Adrien Lejeune, and a radical life stretching from the Paris Commune in the 1870s to the ‘refuge’ of Soviet Siberia in the 1940s. For those who like their Yuletide reading on the dark side, this new edition of classic tales from Conan Doyle provides plenty of disquiet. The thirty-four stories span Doyle’s prolific career, testifying to his lifelong fascination with spiritualism and the occult. From the streets of Edinburgh’s New Town to the Arctic wastes, caverns deep in the earth’s crust to the upper stratosphere, Doyle suggests that nowhere is safe. He presents a cast of misfits and grotesques who wreak vengeance and greed, aided and abetted by mesmeric powers, occult knowledge, enslaved mummies, or captive carnivores. Some images lodge themselves in your mind as firmly as the teeth and claws of the eponymous Brazilian Cat. The bat-like Doctor Octavius Gaster, backlit by the moon against the backdrop of the moors is unforgettable. An excellent introduction and ever-helpful footnotes in this edition set each story in context and reveal the eclecticism of Doyle’s interests and pursuits. My two favourites come from opposite ends of Doyle’s career. ‘The Captain of the Polestar’ tells of a haunted Scottish whaling-ship whose captain — a kind of Scottish Ahab — is driven by a death-wish towards the polar wastes; while the ‘The Horror of the Heights’ is a pre-war tale of sci-fi horror, told by a gallus aviator who ventures into an upper ‘air-jungle’ teeming with gelatinous predators. Those who break through the barriers in Doyle’s stories often come to grief, but for others such as Captain Craigie, the journey to the other side brings release and ultimately reunion, echoing Doyle’s unshakeable belief in the immortality of the soul. 1869: Immersive storytelling and authentic language convey us to the isolated Ross-shire hamlet where seventeen-year-old Roddy Macrae has admitted to a savage crime. 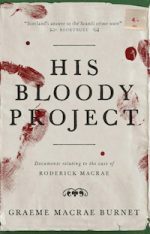 Roddy’s prison memoir is the core narrative among a collection of ‘found documents’ that comprise the novel. He portrays crofters living in hock to the laird who, through his constable Lachlan Broad, controls their arduous lives of endless toil. In an understated tone, Roddy tells the emotive and beguiling tale of his struggling family, unmoored by the loss of his loving mother, and tormented by Broad, whose vendetta against them appears motivated by nothing but a bully’s swaggering malice. But conflicting viewpoints keep wrong-footing us. Our rage at Roddy’s plight and the arrogant condescension of ‘superiors’ is almost enough to blind us. Witness statements and ‘expert’ opinions express inconsistencies, though. It’s left to the reader to disentangle ‘truth’ from prejudice, to decide what ‘justice’ means here, and whether Roddy was insane, or acted on sinister impulses. Rarely does a novel seduce so fully that it’s widely taken for a true story. However, other than a single historical character (the psychiatrist), it’s entirely made up. Scottish to its core, with European influences — Kafka, Dostoevsky — this is one of a kind, and definitely not to be missed. His Bloody Project was chosen as the 2016 Saltire Society Fiction Book of the Year, and was shortlisted for the 2016 Man Booker Prize. It’s a hard thing, to boil down a year’s reading to just one Best Book. What does that word mean, best? Louise Welsh’s Death is a Welcome Guest was gripping, and horribly plausible; Charles Stross’s The Annihilation Score was a hoot; Jenni Fagan’s The Sunlight Pilgrims was by turns touchingly warm and chillingly bleak; Amy Liptrot’s The Outrun was brave and clean and true. There are always good books, great books, every year. But this one, for me, stands out above the rest — not just a great read but a genuine step forward in its field, and I’m very proud that ASLS is the publisher: The International Companion to Scottish Poetry, edited by Carla Sassi. At just over three hundred pages long it is not an exhaustive analysis: rather, it is a map, a guidebook for travellers and explorers. 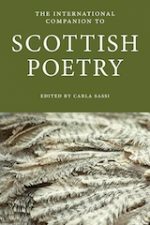 What makes it truly significant, however, is that it is the first concerted attempt to engage with Scottish poetry as a whole, from the earliest times to the modern day, in all the languages of Scotland, past and present. This book acknowledges the dense diversity packed into this small country, and recognises the links between Gael and Lowlander, island and mainland, elite and common, rural and urban, north, south, east and west — that tie us, too, to England, Ireland, and Wales, to Europe, and the Americas, and all the wide world. Scotland is a small nation with a large poetic tradition; we contain multitudes, and this International Companion embraces them all. — chosen by James Robertson, a poet, writer of fiction, editor, and co-founder of the Scots language imprint Itchy Coo. In 1985, a young photojournalist called Angela Catlin made portraits of forty-nine Scottish writers for a book called Natural Light. Among the famous names were Norman MacCaig, Hamish Henderson, George Mackay Brown and Liz Lochhead, and many of those photographs have since become classics of their kind: the picture of James Kelman, for example, is instantly familiar, as he sits tee-shirted, lean and anxious, framed by packed bookshelves. 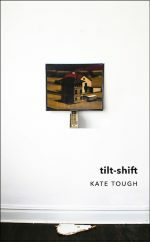 That book captured Scottish literature at a particular moment — telling us of its overwhelming maleness, among other things — and now, after a career that has taken her to some of the world’s most dangerous and devastated places, Catlin has done it again: fifty-nine writers, twenty-three of them women, in a variety of indoor and outdoor locations. Each portrait is accompanied by a piece of writing from the subject, and again the effect is to show us the multi-faceted nature of our literature in 2016. Not quite, though, for sadly two of the subjects, Willie McIlvanney and Karl Miller, have left us already. Still, it is a delight to see new photos of those who were in the first book, with those thirty-years-ago faces inset for comparison, and slightly sobering to speculate on who among us might still be here, still writing, in 2046. 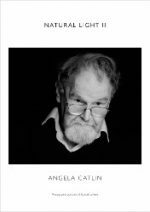 Catlin is a brilliant photographer and this is a fascinating, honest and handsome book. I’ll stick to literary scholarship, and stay away from books I reviewed pre-publication as an editor or press reader. I was impressed by Joseph Rezek’s London and the Making of Provincial Literature: Aesthetics and the Transatlantic Book Trade, 1800-1850 (Pennsylvania, 2015) and Juliet Shields’s Nation and Migration: The Making of British Atlantic Literature, 1765-1835 (Oxford, 2016). Following work by the late Susan Manning, both books consider Scotland as one node in the volatile networks of English-language print production and circulation across the modern Atlantic world. 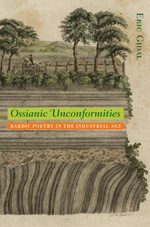 But the most invigorating scholarly book I’ve read this year may be Eric Gidal’s Ossianic Unconformities: Bardic Poetry in the Industrial Age (Virginia, 2015). This ‘experiment in ecocritical book studies’ traces the reception history of the Poems of Ossian from Macpherson’s originals through an extraordinary — in some cases bizarre — series of nineteenth-century editions, revisions, and reworkings, which use the Ossianic corpus as a seismographic instrument for tracking the drastic demographic and ecological transformations of the West of Scotland into a commercial and industrial hub of world empire. Gidal wrests the Ossian poems from the weary grip of the authenticity debate and views them for what they were: experimental, radically modern, and deeply strange. 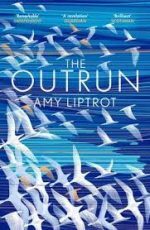 Like so many nature writers, Amy Liptrot journeys inwards as she journeys into the wild — in this case, the wilds of Orkney, her home islands. In the book, which is part addiction-memoir and part-nature-writing, she uses a clear, open style — wrought in part by time in a rehabilitation programme to combat her alcoholism, where she was taught to carefully unpick her feelings. Over the course of the book, she comes to personal discoveries while searching for fault lines in the landscape, soothes herself with a nightly search for corncrakes on behalf of the RSPB, electric-shocks her dangerous desires with swims in the winter North Sea. What seemed new and exciting in The Outrun was her integration of the digital with the natural. She explored the joys and the complications of being a digital native in the natural world. She chooses to live a remote life on Papa Westray for a winter, but only after checking it has broadband. When her phone breaks, she feels like she doesn’t exist — what’s the point in her daily walks if there is no phone to track her journey? As millennials, think-pieces are constantly bemoaning our heavily digital lives as if they are opposed to relationships, history, the night sky. Amy Liptrot seems like an excellent advocate for an alternative. The Outrun won the 2016 Wainwright Prize and was shortlisted for the 2016 Wellcome Prize. My choice is not necessarily the most obvious, but as a publisher, I have always fancied that if something came out about Scotland, then I would have heard of it or know something of it. So my surprise was considerable when my good friend Hugh Raven invited me to a play with the above title based on a book about his father. The play was enjoyable, the story extraordinary. On the island of Rum, in the mid-twentieth century, a famous botanist had committed a spectacular botanical fraud — a fraud only discovered by the ingenuity of John Raven, a newly graduated classicist. It is a truly ripping yarn involving night-time landings, threats and intimidation, and at the heart of it something rather sad — a scientist, clearly of great talent, who had overstepped the mark in helping ‘proof’ along. There is much in the book on how the depth of our beliefs often unconsciously leads us to falsify and distort the supports of those beliefs. As a confirmed island fanatic, I had little choice but to contact Karl and indeed the rights were free. As in the best of stories new evidence appeared in the course of the revise so at last we have the definitive story of A Rum Affair and Rum indeed it is in every sense. But it is more. It is a marvellous tale, it is a completely different type of story from the normal narratives of Scotland, it is about something very important. And it taught a Scottish publisher that really there was much about his country he had still to learn. And for that salutary dose of humility it has to get my nomination! James Hunter’s latest work stands out for me as the best Scottish book I’ve read, not just in 2016, but probably in recent years. In this fresh assessment of the Sutherland Clearances — events which loom large in the history of nineteenth-century Scotland — the focus is as much on the cleared as it is on the clearer. The tone is set in the opening pages which list fifty-five ‘actors in the clearance drama’. Among them are Gordon Ross and his wife Jessie, whose daughter Katherine died from whooping-cough within three weeks of their eviction in 1821, a story which opens and closes the book. Hunter allows the ‘voice from below’ in Sutherland to be heard in so far as this is possible from the surviving sources which privilege the literate English speaker over the non-literate Gaelic speaker. Nonetheless, Hunter’s account is a nuanced one in its representation of the linguistic context in which events took place, frequently noting instances where interpreters were required in encounters between estate officials and tenants or in official settings such as the trial of Patrick Sellar. He weaves a narrative which crosses continents and centuries as, in his own recent journey, he follows in the footsteps of cleared Sutherland emigrants to Winnipeg and onwards to the frozen expanses of Hudson Bay in what is a very compelling narrative underpinned by the authority of meticulous research. Set Adrift Upon the World was chosen as the Saltire Society’s 2016 History Book of the Year. — chosen by Magi Gibson, a Scottish poet living in Glasgow. Her latest collection, Washing Hugh MacDiarmid’s Socks, will be published in spring 2017 by Luath. I’ve read a lot of poetry this year, revisiting some old and cherished collections as well as exploring new ones. From amongst those newcomers Claire Askew’s This Changes Things stands out. For a first collection it’s stunning in the breadth of its subject matter and the assuredness of its language. Every line bristles with striking images, while Askew’s confident rhythms and internal rhymes seduce the ear. The poems themselves wheech you effortlessly from school bullying in a small Scottish town to love and lust in a cheap hotel in Paris, from the sweaty heat of a Spanish holiday resort (with a beggar woman whose description will make you want to rush for a shower and a good scrub), to an unlikely love poem that kicks off in the fruit and veg aisle of an Edinburgh supermarket. Askew has an unflinching gaze that goes deeper than the surface of those everyday things she describes. A fire taking hold seems to come alive, an axe lurks threateningly in a shed. A sense of the frailty of existence pervades, as if everything we struggle to build might at any moment collapse. Poems effortlessly link the personal and the political. Women feature strongly, not least Askew’s grandmother in the beautiful, ‘I’m sorry I’m still in love with my grandmother’. Consume this book in one sitting and you might overdose. Like a strong, mellow whisky, sipping is recommended. Be warned, though — once Askew’s poems are in your head, they’ll linger, unsettle you, and demand re-reading. This Changes Things was shortlisted for the 2016 Edwin Morgan Poetry Award and shortlisted for the 2016 Saltire Society First Book of the Year Award. As a writer of poetry myself, This Changes Things made me repeatedly curse, “Damn, I wish I’d written that.” Askew’s poems are brimming with lines which sound new-born, and the poems don’t shy away from relevant, modern and important topics. The landscapes of Askew’s poetry are never simply ‘beautiful’, never trapped in antiquity or nostalgia; they are fragile, fat, dead, contemporary, complex. This is what modern poetry ought to be aiming for. It’s a book of (literally) two halves, with the first section covering memory and family tragedy (amongst other things) and the latter taking on the narrator’s adult life of moving house, finding love, holidaying and growing older. The book also tackles a variety of important issues such as checking-ones-privilege, our irrational pre-judgements of women and the unadorned, unappreciated luxuries of living and life. Askew doesn’t let you escape judgement but she also includes herself in those prosecutions, so it feels like her fingers are pointed in all directions. This Changes Things is a wonderful debut collection, full of charisma, venom and vavoom. It’s teeming with heartbreak, comedy, damnation and brilliance. It sticks. 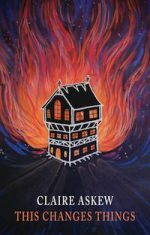 — chosen by Helen Sedgwick, author and founder of Wildland Literary Editors; her latest book is The Comet Seekers. Like James Robertson’s central character I was fifty in 2014. This seemed significant; it was the two hundredth anniversary of the publication of Waverley and I believe there was something about a referendum! I chose to climb Ben Nevis on my fiftieth birthday, and from the top saw some of the best of Scotland’s scenery. Douglas Elder turns fifty on a bus on his way to a funeral. This does not sound promising but Douglas also travels to the Highlands and from that vantage point his life takes on new perspectives. Drawing, as he so often does, on memories of earlier stories Robertson weaves a tale that both addresses some of the myths we tell ourselves about our Scottishness and suggests that while we may feel as if we are inhabiting narratives written by someone else we can also take control of our own destinies. It also reminds us that there are always several perspectives from which we can view our personal and national situations. One perspective is offered by the wonderful Mungo Forth Mungo, a talking toad, and Mungo, like the novel itself, prompts us to look outside our narrow lives to see alternative points of view. 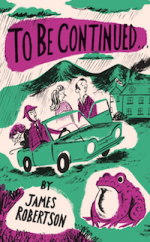 I loved this novel, not least because it managed simultaneously to be both astute about the state of Scotland and funny. Scotland’s story is indeed to be continued but Robertson’s novel reminds us to be open minded about where it may lead us. Some books develop an aura very quickly. 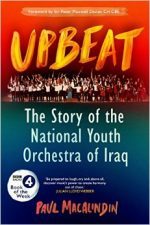 Paul MacAlindon’s UPBEAT: the story of the National Youth Orchestra of Iraq is just such a book. Written in heat after the orchestra’s demise it narrates how the author, a professional conductor from a by no means privileged background, learned of the post of maestro for a non-existent orchestra by almost miraculous chance. Paul was resident in Cologne at the time and, from there, generated funding by dint of his highly shined brass neck and tutors from a wealth of connections. He roped in his former partner, Sir Peter Maxwell Davies (who later provided a radiant foreword), as composer-in-residence and, darn it, made it happen. The orchestra went from Point Zero to performing the Mendelssohn violin concerto with soloist Arabella Steinbacher at the Beethovenfest in Bonn. They also played in France and at the Edinburgh Festival. Performances in America were prevented by the orchestra’s closure thanks to ISIS and international politics, but let me tell you about the book. Paul delivered a text that combined extraordinary warmth with pace and telling detail that I found impossible to put down. A tale of characters, incident, real bloody tragedy and accumulated small victories that amount to triumph. These young musicians, not least the visionary founder Zuhal Sultan, may well eventually become national leaders and, on that happy day, Iraq will be in good hands. The media absorbed this instantly, by osmosis it seemed, and made the biggest splash that any Sandstone book has yet enjoyed.